Willow solitaire diamond engagement ring with mirror polished loop styled shoulders and four claw setting. Styled with a flowing loop design, the Willow Engagement Ring is handset to reflect light from a Round Brilliant cut Diamond. 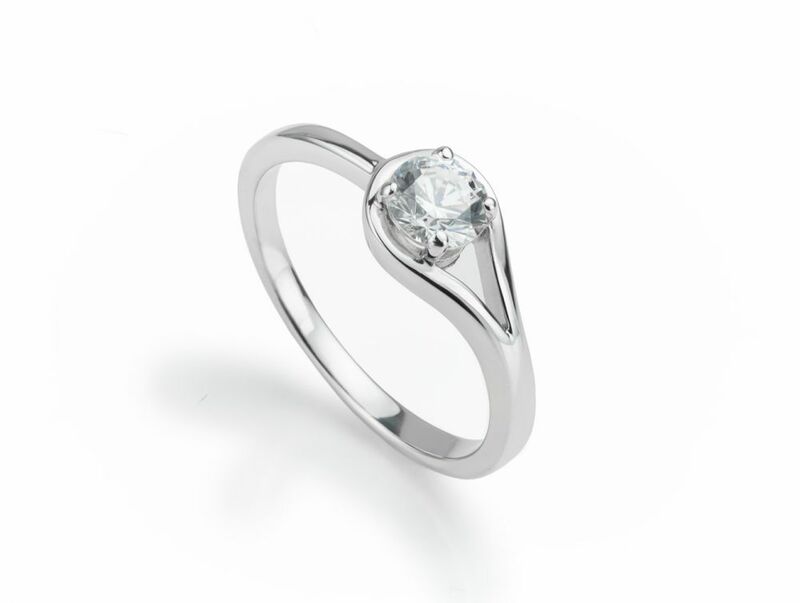 Mirror polished to perfection, the ring features a 2mm court shaped band flowing seamlessly towards the loop surround below a minimal four claw setting. The style is slender, graceful yet secure. There are further opportunities for a shaped wedding ring to match this elegant style. Choose from a wide range of available precious metal and Diamond options. Your ring will be created over a 3-4 week duration before being sumptuously packaged and hand delivered by secure courier. 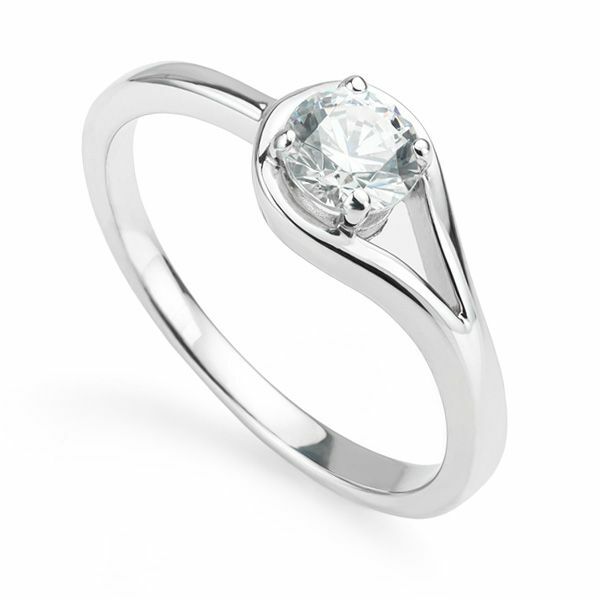 The Willow engagement ring design, shown here in 18ct White Gold, set with a 0.50cts diamond. View from the side, within the larger ring box.